Springtime is a very bold time when it comes to the beauty world, everyone is in the mood for really bright, bold colors and the beauty brands have definitely delivered. One of my girls gave me the most beautiful, bright & bold eyeshadow palette for Mother's Day and I have been dying to use it, but scared at the same time. Would this old lady be able to pull off a bold and colorful look? Well today I was inspired after my morning skincare and oral care routine. After using my new bottle of LISTERINE® Total Care and feeling that bold freshness in my breath, I wanted to try to create that same feeling, on my face. Funny how fresh breath can give you so much confidence, but it does. Not only did I create this bold and colorful look, I am also sharing how you too can create this look. So this a very bold, colorful and not very average makeup look. But it's perfect for spring and even though it's scary I do think women my age can pull it off. Why not? 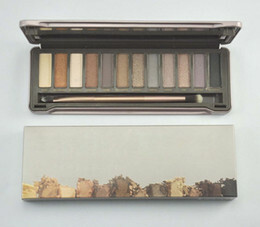 I know we are now over the age of 40 and we're "supposed" to stick to neutrals, but neutrals are boring! 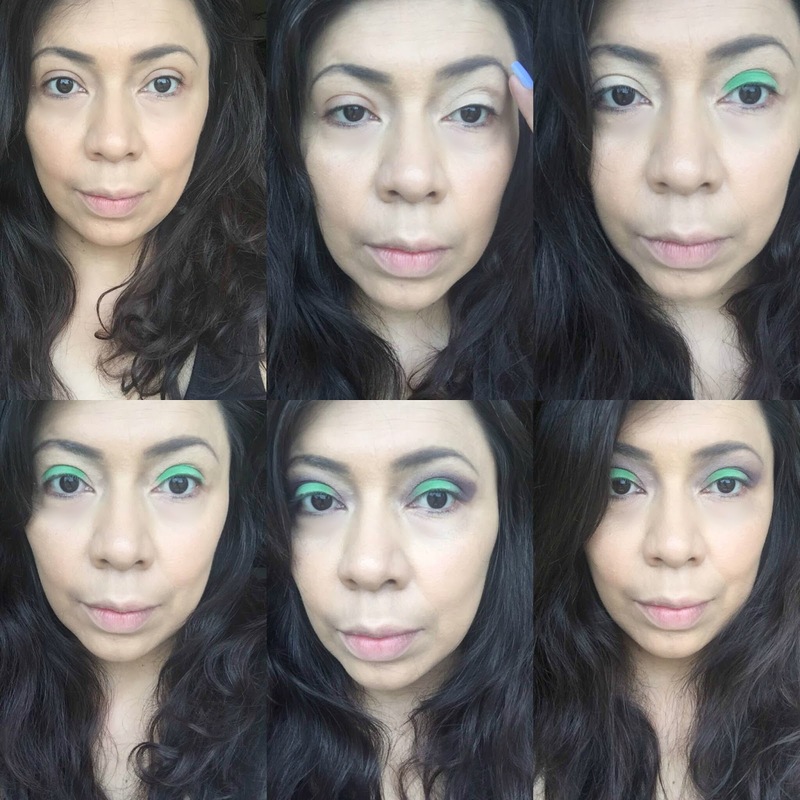 Today I am sharing how I created this look, step-by-step so you can see just what I started with (scary, I know) and I hope that it inspires some of you to pull out the bright, bold colors too. I started by applying moisturizer and foundation plus doing my brows. Now for the eyes: start with an eyeshadow base or primer and apply all over the lid. I then took the green shadow and placed it in all over my lid. I then took a purple shadow and began to apply that into the crease and at the corners of my eyelids. 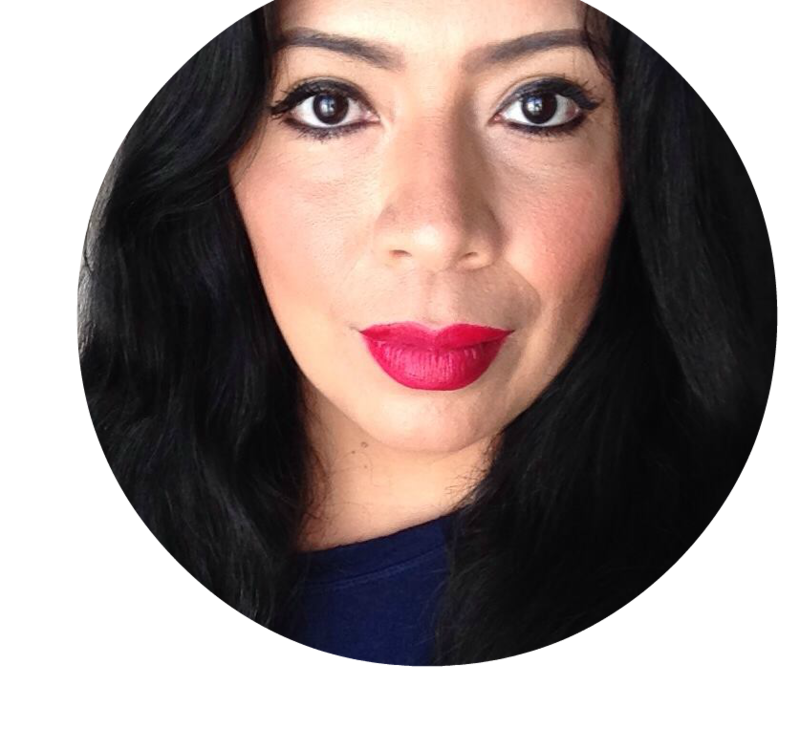 I do have hooded eyes so it takes quite a bit of blending out but just go slowly, we will be cleaning up any fall out or mess ups. Next I took lined the top eyelid with a liquid liner, the waterline with a pencil liner, and added the same purple eyeshadow to the bottom water line and smudged it out. Now you can take a clean blending brush and blend the purple eyeshadow out on top so that all harsh lines are softened out. Now we will be cleaning up and brightening under the eyes, this step also helps conceal those awful bags. Using a concealer that's a shade lighter than your foundation apply under the eyes and gently blend into the skin. This is where you can clean up the eyeshadow edges too. Now apply mascara liberally, I apply three coats at least. This next step is integral to me as it makes a huge difference to my overall look. Using a contour powder, contour the hollows of your cheekbones, under the jawline and the sides of the nose. You will see what a huge difference this step makes. Now just add blush to the apples of you cheeks and we finally begin to look human! 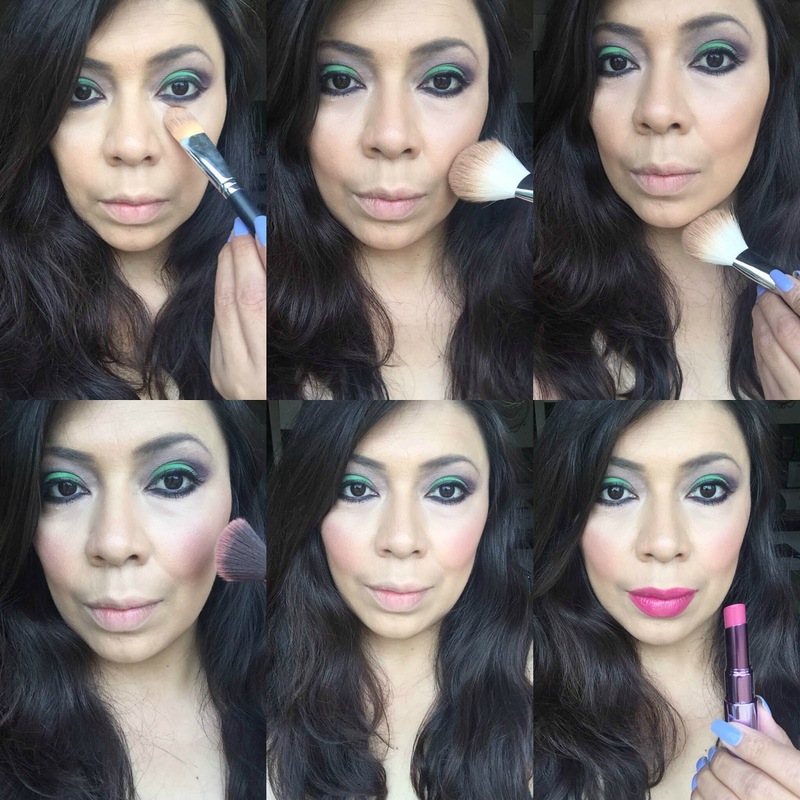 Last step is my favorite, finish off with a beautiful spring lipcolor. I chose a pinky, berry shade that I think ties it all together. I am super happy with this look and proud of myself for being able to put my Mother's Gift to good use. I know that bright, bold eyeshadow or lipstick can be scary. But look how fun this look is! No beauty routine can begin until you've done your oral care and there is no other mouthwash that cleans as well as LISTERINE®. LISTERINE® TOTAL CARE in Cool Mint Kills 99.9% of bad breath germs and germs that lead to gum disease (in lab studies). Plus no other mouthwash gives that same bold, fresh feeling that you can conquer the world. 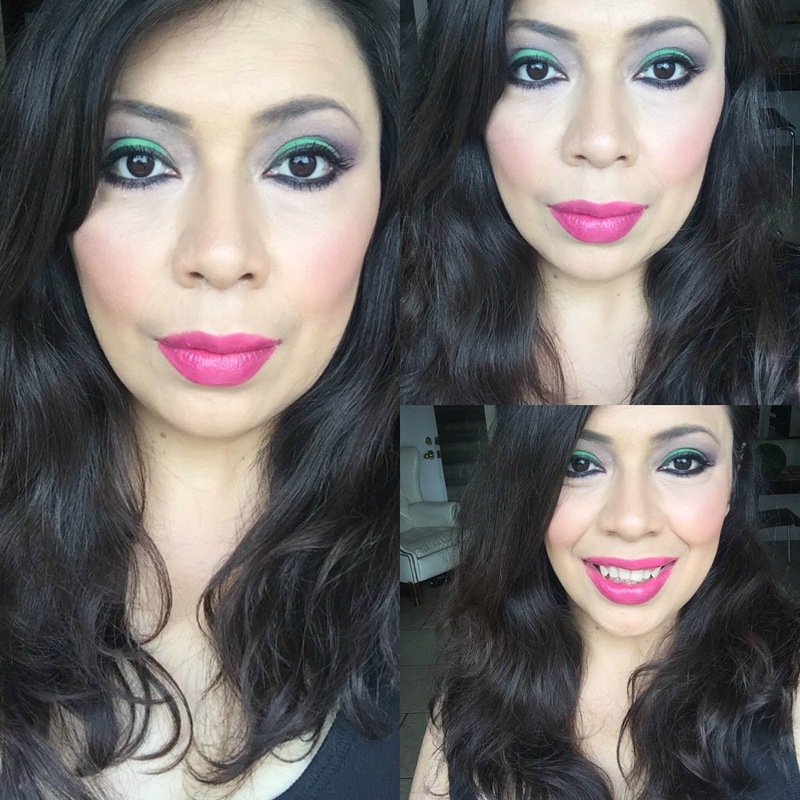 LISTERINE® TOTAL CARE in Cool Mint emboldened me today to step out of my box and try something new with my makeup, and I am glad that I did! Don't forget to freshen you breath on-the go with LISTERINE® POCKETPAKS®, these cute, little containers are super portable and will give you fresh breath just when you need it! They dissolve immediately and kill 99% of odor causing bacteria in 30 seconds. 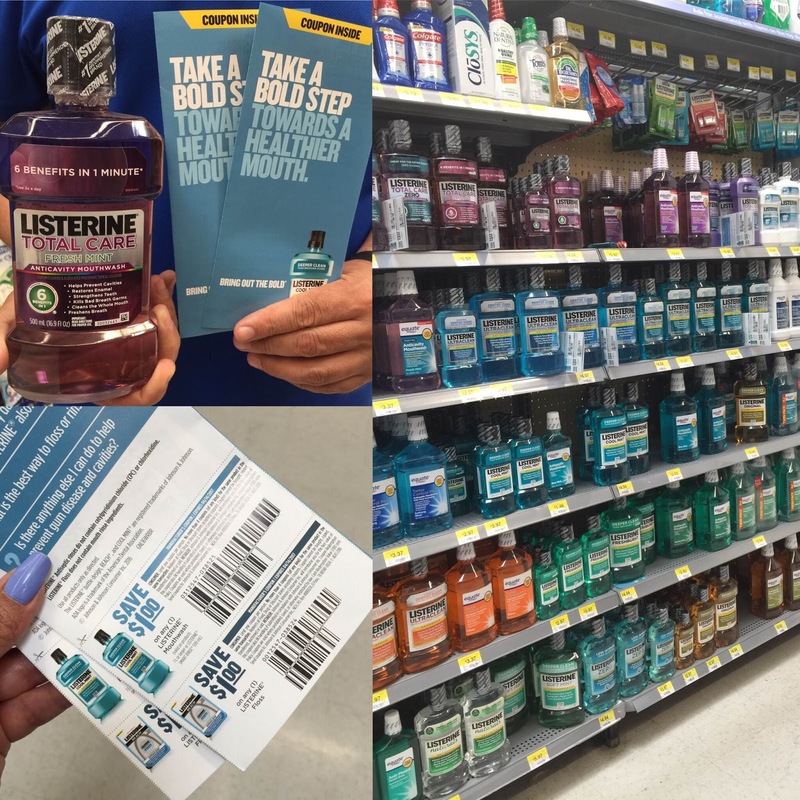 Find LISTERINE® TOTAL CARE Fresh Mint and LISTERINE® POCKETPAKS® at Walmart. Get your 24 hour germ protection taken care of and use the confidence of a clean mouth and fresh breath to try something new and bold today!